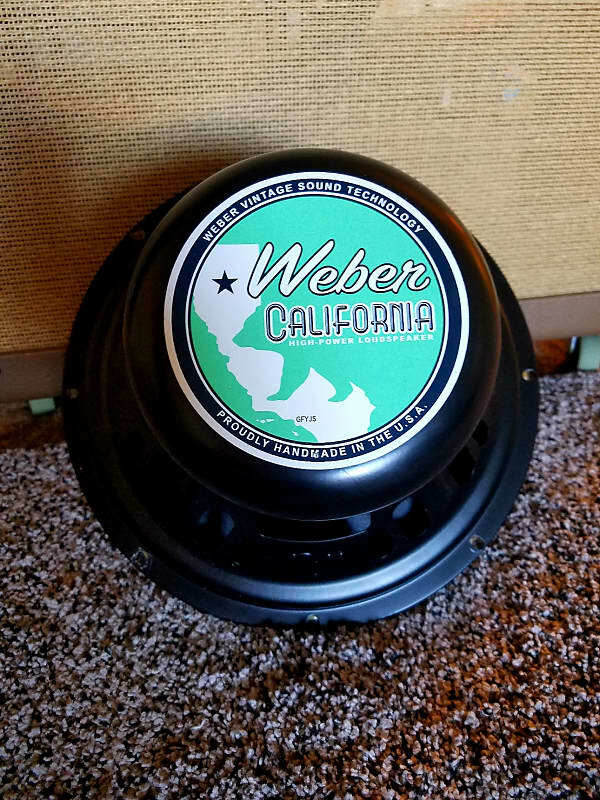 Low time Weber California Alnico 12" Paper Dome 60watt 8ohm. 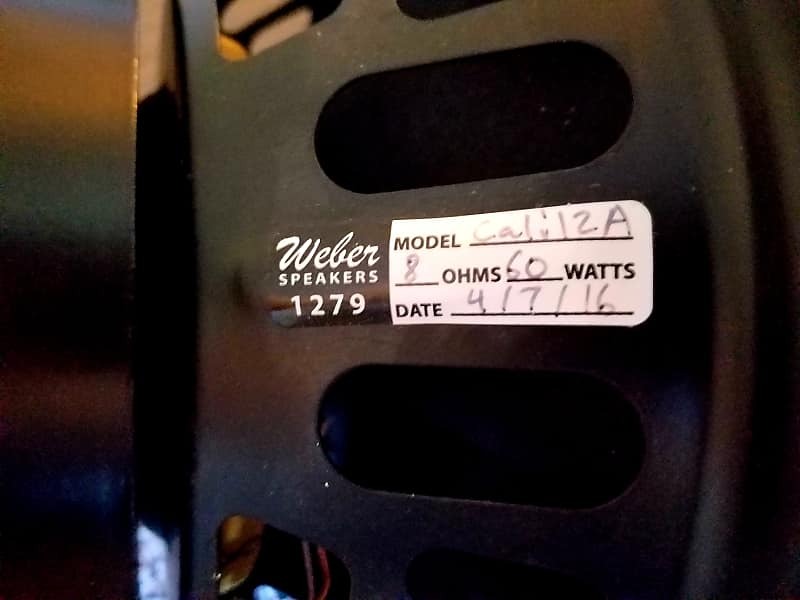 Weber's replacement for JBL D120. I am the original owner. Big bottom end on these, the paper dome makes this a very versatile speaker for clean to gain tones where the aluminum dome can be a bit harsh. I had this in a 2x12 narrow panel Fender cabinet paired with a Eric Johnson 12" Alnico. 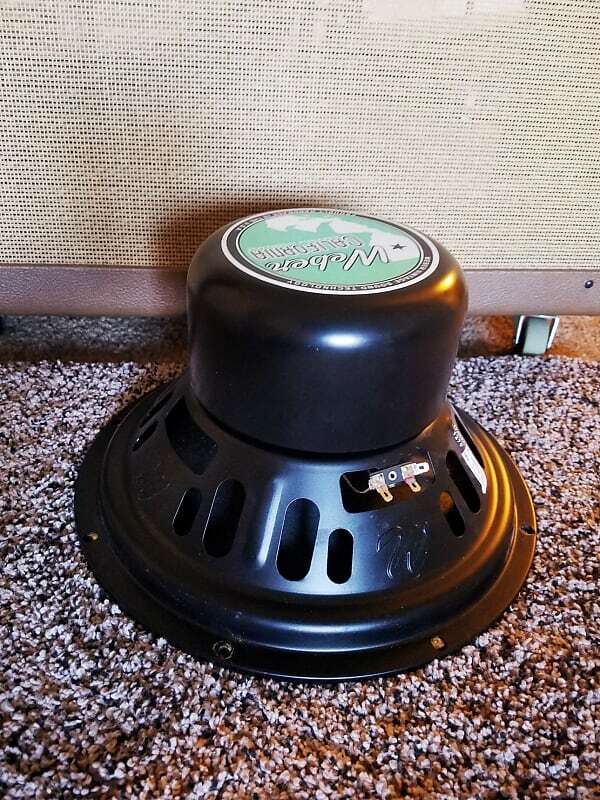 As I play mostly Surf and low gain I'm putting a California 15" aluminum dome in this cabinet paired with an extension cab loaded with a vintage Jensen C15. 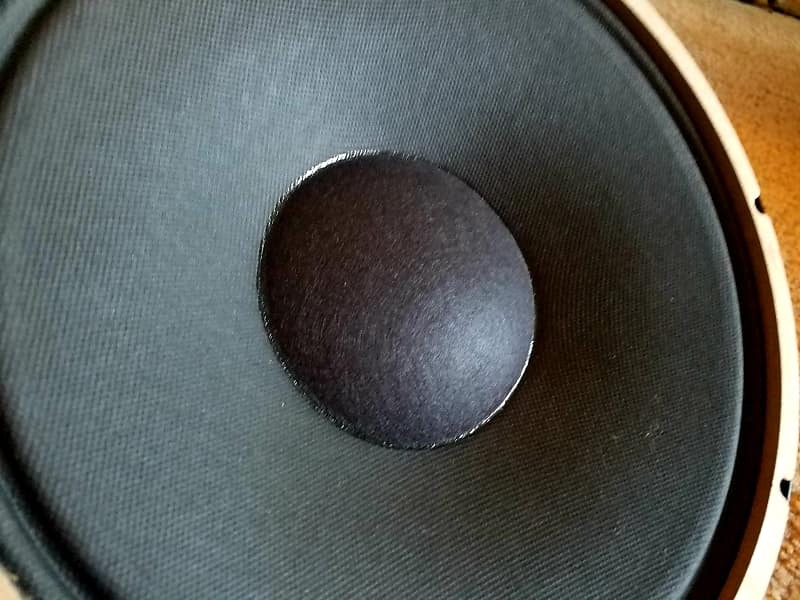 I treat my speakers with great care, never touched or "tested" the cone, minimum tension on the nuts and basket so no warping occurs which can cause voice coils to rub. 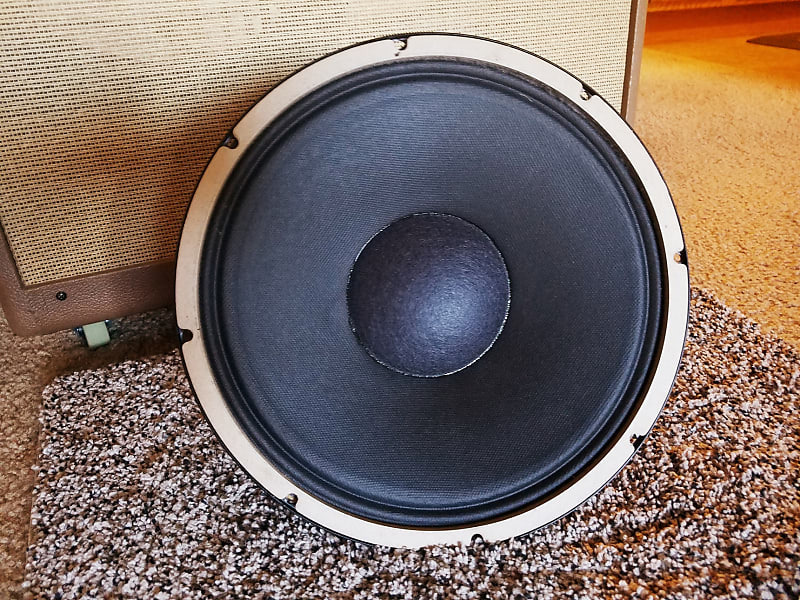 Just a fantastic speaker if giant tones are what your after. I especially liked it with a vintage Jensen, very complimentary. It also worked surprisingly well with the Eminence Legend 10" I ran it with. Never gigged, always played at home at reasonable volumes. I stretched its legs a few times when the missus was out, it only gets better with a bit of volume, stays clean and never sounded harsh or "loud", always sounded bigger and fuller and more dimensional. Just an excellent speaker. These are hand made to order by Weber, so lead time was several weeks from when I requested it. I'll ship this to you minus any wait. I will ship with tracking to the listed regions.